Sat., 1 Feb. - Sun., 1 Mar. Thu., 11 Jul. - Mon., 12 Aug. Mon., 20 May - Sat., 8 Jun. 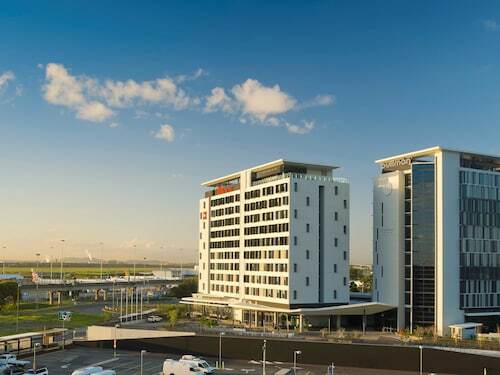 Situated in Brisbane Airport, this luxury hotel is within 6 mi (10 km) of DFO Brisbane, Portside Wharf, and Doomben Racecourse. Eagle Farm Racecourse and Holt Street Wharf are also within 6 mi (10 km). Airport Domestic Station is 5 minutes by foot and Brisbane International Terminal Station is 26 minutes. 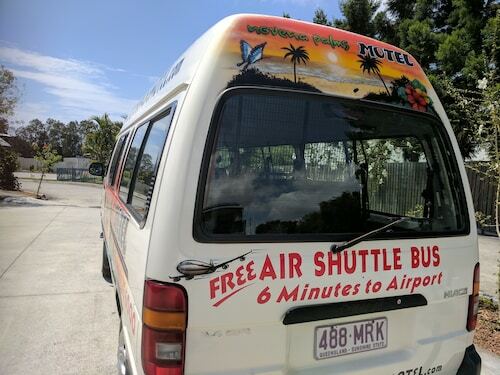 Located in the heart of Northgate, this motel is 2.5 mi (4 km) from Nudgee Golf Club and 3.1 mi (4.9 km) from Westfield Chermside. DFO Brisbane and Doomben Racecourse are also within 3 mi (5 km). Brisbane Northgate Station is 8 minutes by foot and Brisbane Bindha Station is 18 minutes. 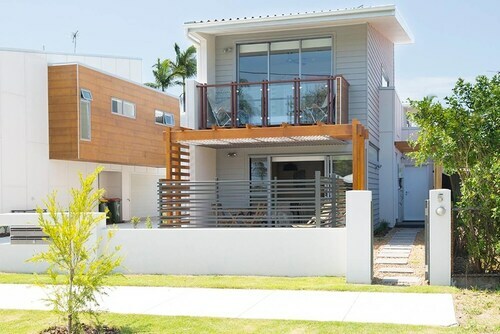 Situated near the airport, this vacation home is within 3 mi (5 km) of DFO Brisbane, Portside Wharf, and Brisbane Cruise Terminal. Doomben Racecourse and Eagle Farm Racecourse are also within 3 mi (5 km). Brisbane Nundah Station is 12 minutes by foot and Brisbane Northgate Station is 13 minutes. 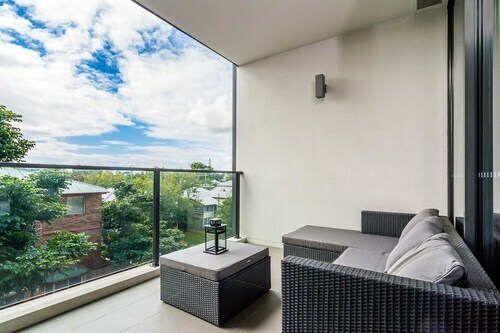 Situated in Nundah, this apartment building is within 3 mi (5 km) of DFO Brisbane, The Prince Charles Hospital, and Westfield Chermside. Doomben Racecourse and Eagle Farm Racecourse are also within 3 mi (5 km). Brisbane Nundah Station is only a 4-minute walk and Brisbane Northgate Station is 14 minutes.